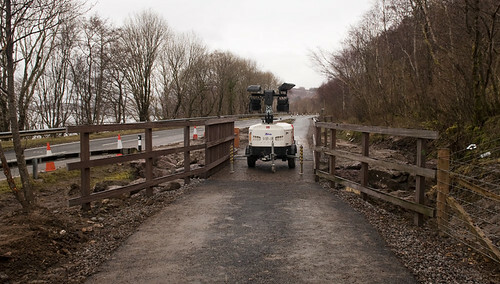 Another quick update on a Scottish cycle route, before I post my conclusions about them. 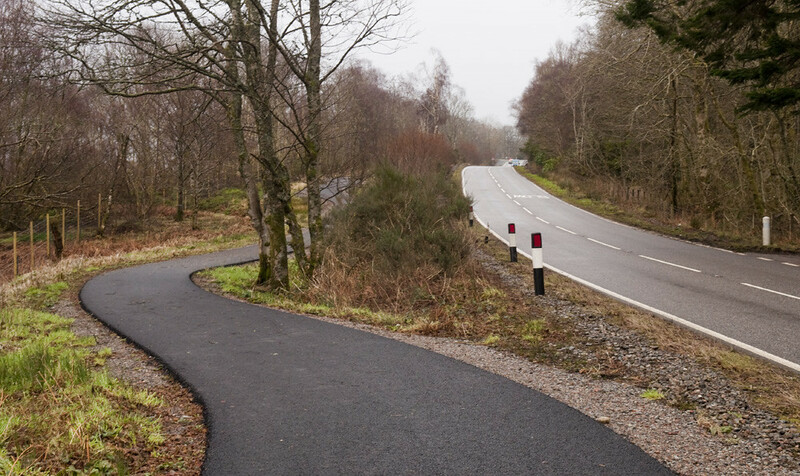 This is the Caledonia Way, NCN78, a 350km route from Campbeltown and the Mull of Kintyre up the Argyll coast to Oban, alongside the sea lochs to Fort William, and up the Great Glen to Inverness. 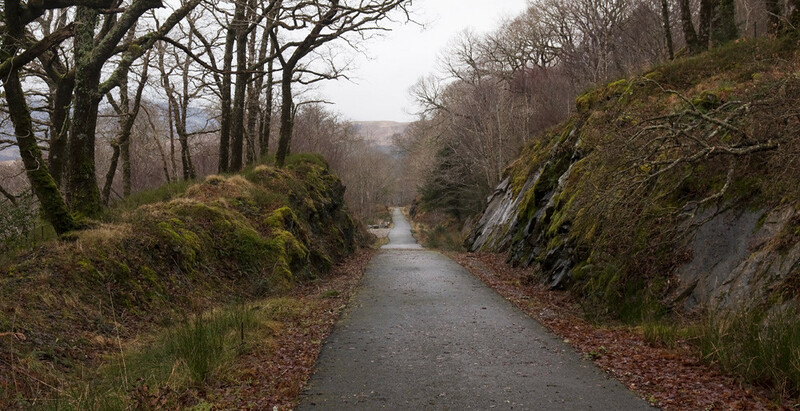 The Caledonia Way is being developed primarily to be a great all abilities tourist trail (though with uses as a serious local transport route), linking some great Highland landscape to the railway towns via a relatively flat route. 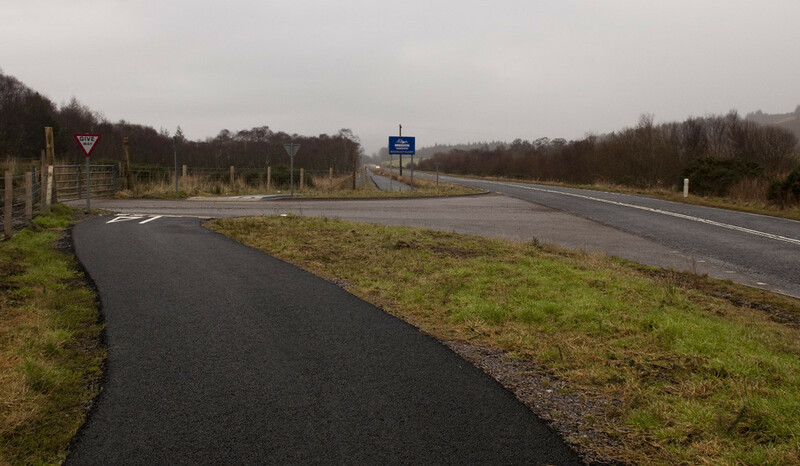 The intention is for the route to be on dedicated cycle paths and tracks throughout, except a few short sections where existing suitable very quiet lanes and streets exist. This is, of course, a similar aspiration to that of the National Cycle Network, but one that sadly hasn’t always worked out quite as intended. 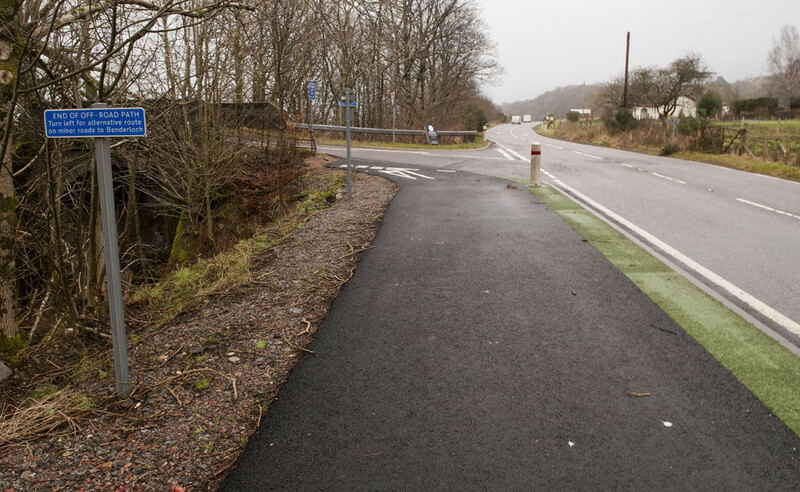 There are a couple of places where the cycle tracks briefly get nasty. 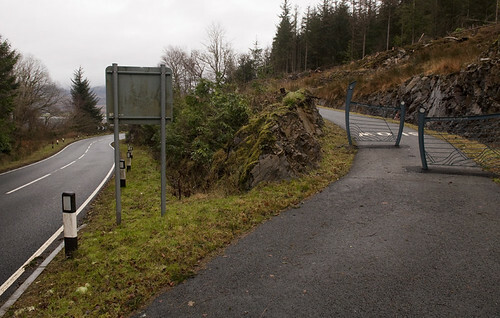 But the designers have at least proved that they understand what “minimum standard” means: the bare minimum which can be acceptable for those few yards where the expense of engineering out the geography would be unreasonable, not the sustained standard at which to build the whole route. Sadly there have been a couple of really embarrassing prioritisation decisions, involving a (disused?) 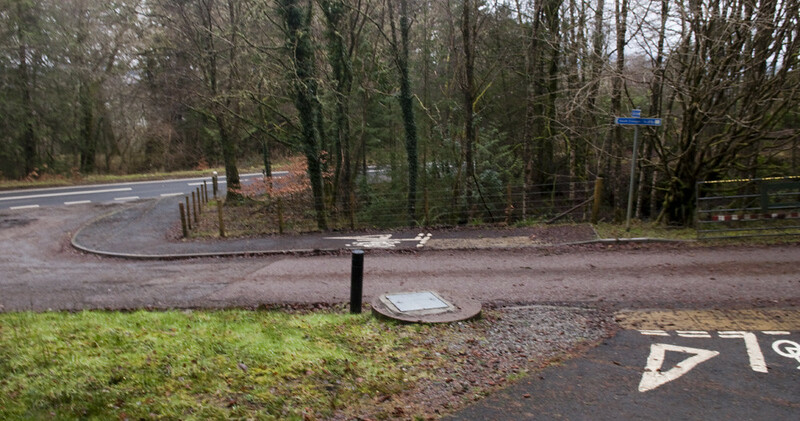 gated quarry road and one really very unfortunate little mess at a driveway (I’m hoping that this mess, which is next to the pinch-point above left and is only a short section of poor quality tracks between good quality railway paths, is just an interim link before something better can be done using the railway). 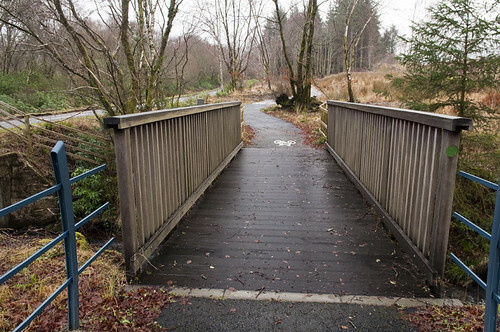 And Oban to Glencoe is so far the only section of the Caledonia Way to have been built. Which brings me to my point — or will, when I get around to posting it. This entry was posted in Uncategorized and tagged cycle paths, cycle tracks, cycling, cycling infrastructure, highlands, infrastructure safaris, rail trails, scotland. Bookmark the permalink. To be honest – that looks amazing. I used to drive that road occasionally and it was scary in a car. I’d love to be able to cycle it to get to Lismore again. What you’ve shown in the photos doesn’t look bad. 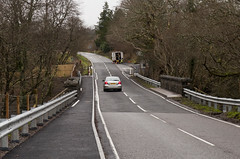 How have they done on the A82 ? 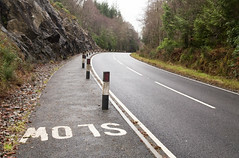 That’s a more direct route for anyone doing LEJOG and I rode along it between Glasgow and Drumnadrocht a few years back. 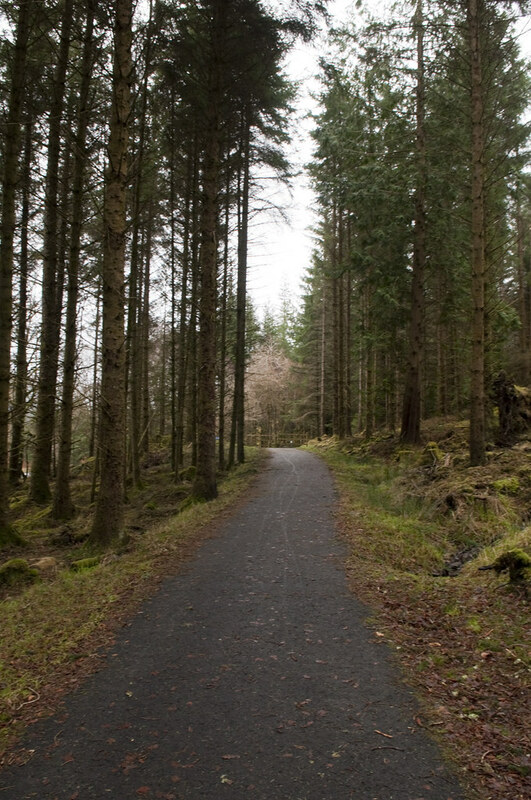 While the scenery was amazing, the experience as a cyclist was less than entirely pleasant. 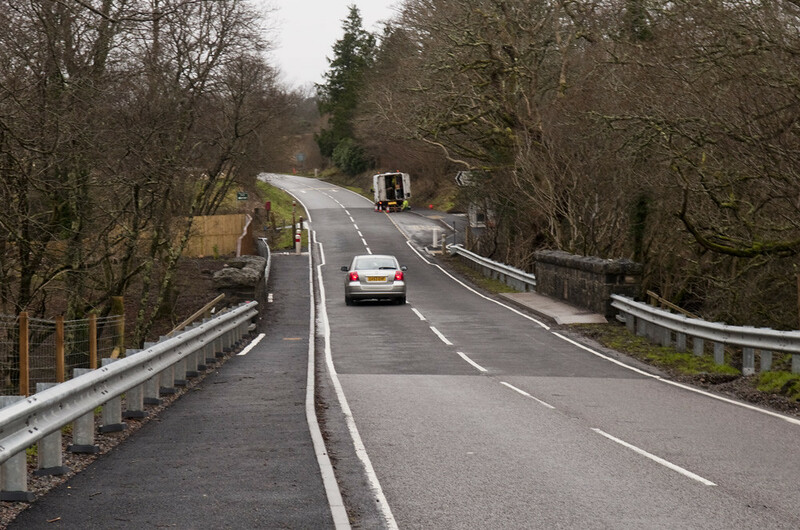 Almost nothing has been done with the A82 so far. 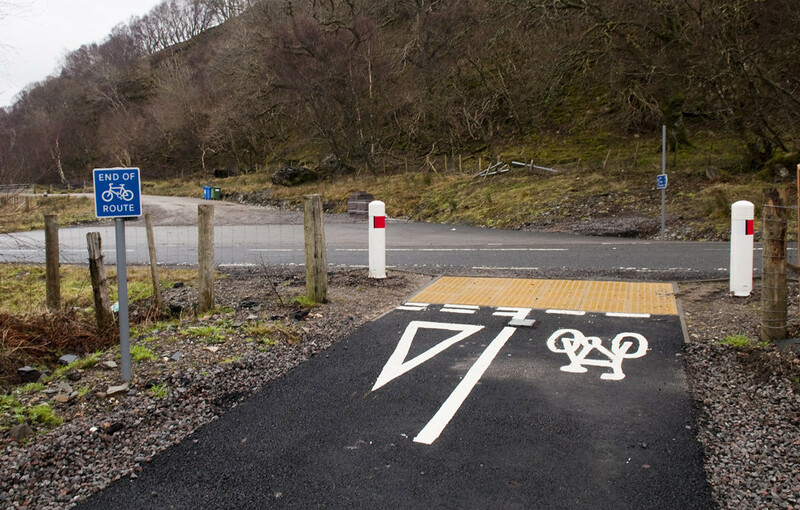 Where the A828 joins it at Ballachulish there are some cycle tracks here and there — shared pavement type, and the <2.0m kind without the buffer (although, to their credit, one on each side of the A82 between Ballachulish and Glencoe village). 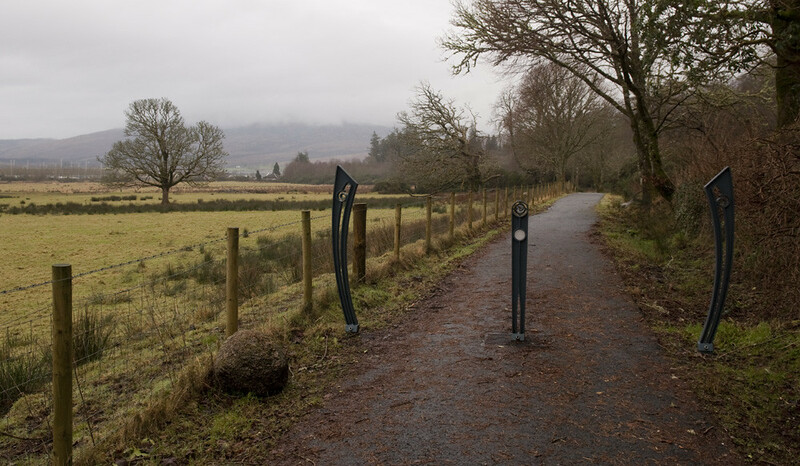 They're only where it runs along Loch Leven though, where there's a concentration of settlements. I decided against using those tracks and was glad of my decision when I passed a several metre long section where the drainage for a roadside waterfall was failing and water and autumn slime had gathered over the pavement. 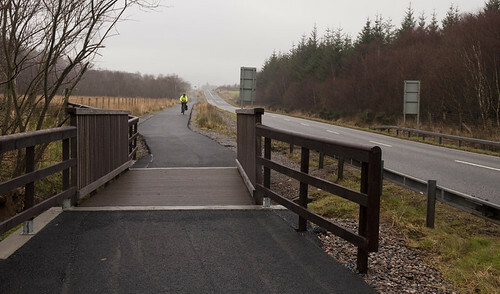 I didn't ride into Fort William this time (went over the top to Bridge of Orchy, on a winter Sunday morning when the traffic is light — there are no plans for a cycle route up the glen and over Rannoch Moor, though I understand there is one already along the West side of Loch Lomond, which I've yet to try) so I'm just going by what I saw last spring and what I've read, but I understand that there is nothing at all in place between Ballachulish and Fort William. The guides currently suggest that cyclists use a couple of miles of the A82 and then cross Loch Linnhe on the Corran Ferry, using the single-track road along the NW of the loch, and then back across to Fort William on the summer-only foot ferry. 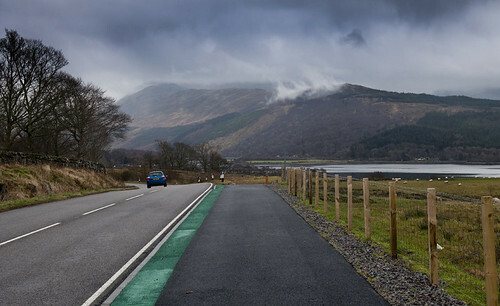 My understanding is that the local authorities (with Sustrans) have gone ahead and organised Oban to Glencoe because it's a local authority road, but I imagine that they're holding out on the A82 hoping that funding might come from the trunk roads budget as part of road "improvements" between Glencoe and Fort William. I seem to recall that that there are some reasonable tracks alongside the A82 on the other side of Fort William, from the town out towards Spean Bridge (decent width & several metres buffer from the road, shame they say give way to farm tracks) but haven't been that way for a couple of years. I don't think those are being actively developed at the moment, though. Great photos and insightful comments! I travel the road regularly and progress on the track is fairly rapid. 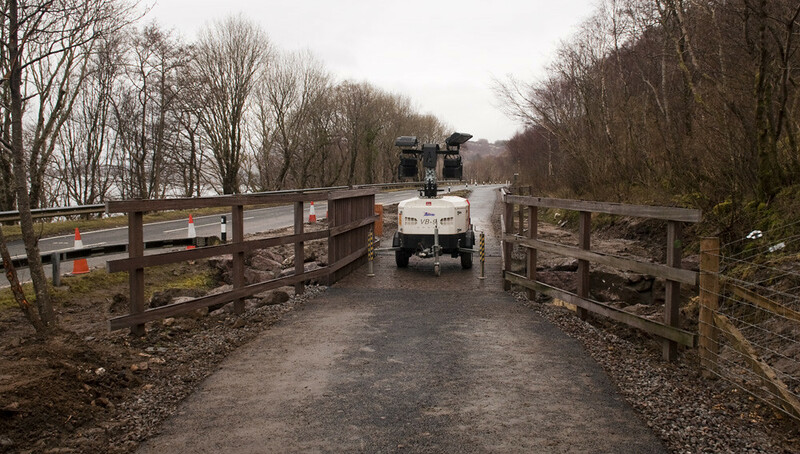 The likelihood of the Ballachulish – Fort William being completed in short order does seem very low. So it’s the ‘two ferries’ route. We own bike shops in Oban and Fort William so are obviously keen to promote the route as a holiday one-way hire trip. Early days yet but would be keen to hear users experience of the cycle track. My contact details are on http://www.neviscycles.com. Thanks. Agree with the early comments, this path looks awesome! thanks for the review and great photos. I’ll have to head up to Scotland with the bike sometime!